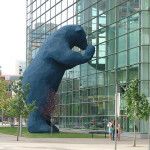 Denver’s Big Blue Bear got into some green paint over the weekend — likely due to vandals pelting the 40-foot tall statue that looks into the Denver Convention Center with paint-filled balloons. Power washing crews have been giving the giant bear statue entitled “I see what you mean” a bath to rid it of its green spots. Click here to read the CBS Denver story. 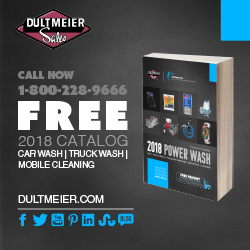 eClean Magazine: The online resource for professional pressure washing, window cleaning, roof washing and other mobile cleaning contractors!